CHICAGO, March 6, 2017 /PRNewswire/ -- CNA today announced the appointment of Joyce Trimuel as Senior Vice President and Chief Diversity Officer. In this newly created role, Trimuel is responsible for developing and leading a cadre of strategic priorities aimed at accelerating the company's efforts to build a diverse and inclusive culture. She reports to Liz Aguinaga, Chief Human Resources Officer, CNA. 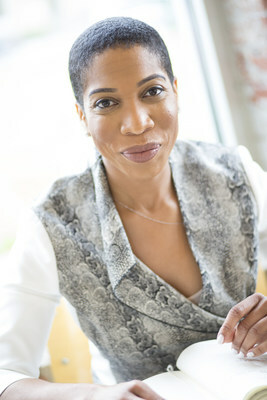 "In addition to being a catalyst for positive change and a passionate, demonstrated champion of diversity, Joyce is a results-driven business leader who will ensure we attract, develop and retain the best people by focusing on the broadest possible pool of talent within our company and throughout the marketplace," Aguinaga said. "Diversity and inclusion leads to more innovation, more opportunities for all, better access to talent and better business performance," said Dino E. Robusto, Chairman and Chief Executive Officer, CNA. "By working with people from different backgrounds and with different experiences and working styles, we learn and obtain another point of view. Diverse views make for better decisions, and thus drive a high-performance culture. Joyce's leadership will allow us meet the needs of customers from countless backgrounds and play a more vital role in our global communities." Trimuel holds a Bachelor of Science degree in Finance from the University of Illinois at Urbana-Champaign, as well as an MBA from the Olin Business School at Washington University in St. Louis. She has earned several diversity achievements, including acting as the chair of Chubb's Multicultural Development Council, developing and implementing a first-of-its-kind leadership development program, and leading several successful civic and charitable partnerships.